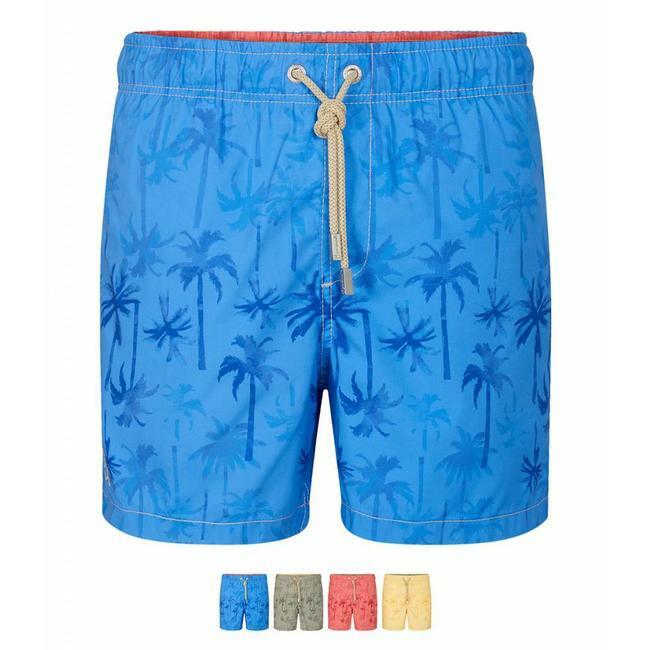 Ramatuelle Swimshorts "Palm Beach" : a trendy swim shorts in a palm- printed twill fabric . Thanks to a special washing this shorts has a " used look ". It has a somewhat lower falling waist with elastic and a drawstring with branded cord ends. This swimsuit has an inner mesh lining with soft elastic at the leg opening. Both logo embroidery and stitching in linen color. 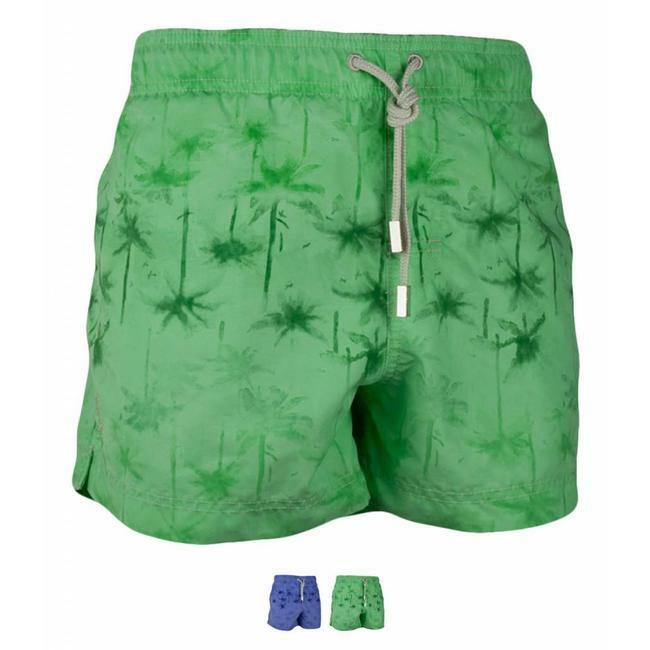 Swim shorts "Palm Beach " is available in a green, orange and a blue version. The sizes run from 3-4 to 11-12, look for the corresponding kids sizes in our size chart.